Albyn Medical 2nd in their topic..
Albyn Medical has qualified for the second round in the European program of aid for innovation ‘H2020’, which aims to ensure the most promising projects are financed by the European Commission. Our project, presented by the consultancy firm Bantec, scored 13.71 out of 15 giving 2nd position in Europe within this topic “medical devices for bio markers”. This wonderful result shows a very promising future for this innovative project. Albyn Medical has developed, in collaboration with the University of Technology Chemnitz and the Cologne University Hospital (Germany), the OABCAP system for specific diagnostic “overactive bladder syndrome”. A device is implanted via Cystoscopy & measures the pressure in the bladder, correlating pressure with urine flow, in order to determine if pressure increases only occur when there is voluntary urination, or not, which may cause accidental loss of urine. 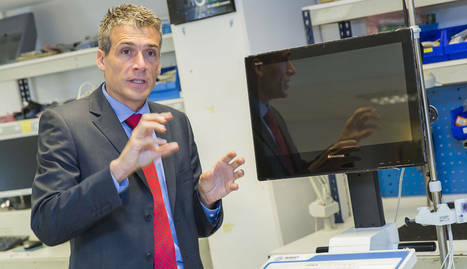 For the original Spanish article see diariodenavarra.es "Albyn Medical pasado a la siguiente ronda de este programa europeo de ayudas a la innovación y han obtenido 50.000 euros"